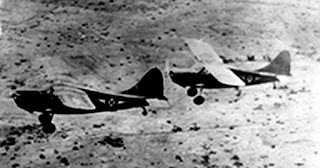 The Philippine Air Force L-5. Image credit: PAF Official site. When I was a small boy back in the sixties, I had been hearing from my Mother, who was originally from the town of Nasugbu in western Batangas, and other relations on the maternal side about this place that they referred to as ‘landing.’ I knew, because I grew up in an Air Force base, that the term probably referred to a place where airplanes flew from or landed. I once asked my late uncle Reynaldo Vasquez, who lived with us weekdays inside the base, if ‘landing’ was an airport which handled commercial flights or Air Force planes. This was roughly five decades ago, but what I remember of his reply is that ‘landing’ was a grass field and that it was mostly used by light airplanes of the postal service. Last summer, I went to visit my aunt Adelia ‘Nene’ Vasquez-Enriquez and other relatives. My aunt and I were having a nostalgic discussion about how my late father, who was a young lieutenant in the Air Force in the immediate post-war years, was courting my late mother back in the early fifties. 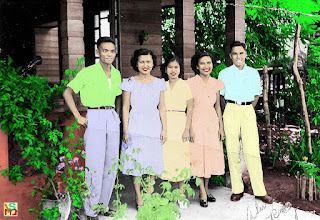 Once, my Tita Nene narrated, my father flew in with the gift of an aquarium for my mother and parked the airplane at ‘landing.’ We both had a good laugh because my father was in most likelihood showing off to impress not just my mother but also my grandparents. God knows how often we laughed whenever Mom teased Dad that he was courting my grandparents as much as he was her. The plane, I am sure, was an L-5. This was a light utility plane with wings above the fuselage with which my father was most familiar. He used to scramble to base operations at the sound of an L-5 arriving. He was that familiar with that bird. Flying from Fernando Air Base to Nasugbu would have taken him half an hour or so and the L-5 could certainly land on grass. When I asked my Tita Nene where ‘landing’ was, because I never did establish where it was located, she replied, “Iyong katapat naming bahay, sa may likod.” (Behind the house in front of ours.) Her house is right at the very corner of a fork in the road formed by Concepcion and R. Vasquez streets, the latter named after my late grandfather Ricardo. My mother Remedios (second from left) and Tita Puring (2nd from right) with some friends pose in front of the Vasquez ancestral home along Concepcion Street. “In front of ours” probably meant R. Vasquez Street, where there used to be open spaces at the back of the row of houses north-side of the road. Just to corroborate this, I asked my first cousin Bing Hornilla-Valera, whose ancestral home is along R. Vasquez Street close to my aunt’s. 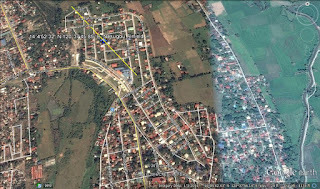 Digging up further, most internet web sites which give information on Philippine airfields provide the coordinates of the Nasugbu Airfield at 14°4’52.32” (latitude) and 120°37'45.85" (longitude). 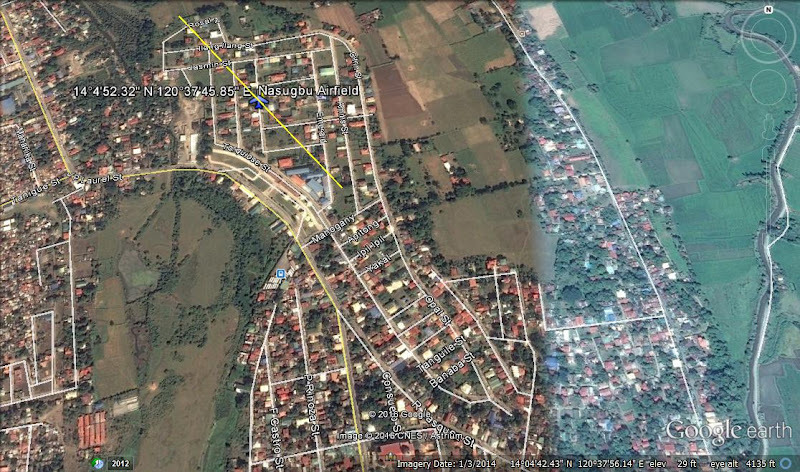 Plotted on Google Earth, the airfield appears closer to barangay Wawa (where the wharf is) than it is to R. Vasquez Street. This is curious because of the information that I had received from my aunt and cousin. 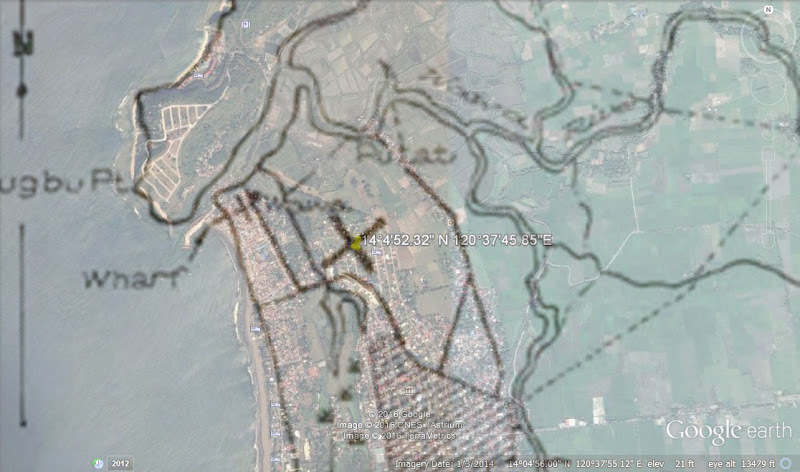 That the coordinates are accurate is confirmed by a United States Army Air Force (USAAF) map dated 1944 found on the web site Pacific Wrecks, especially after being superimposed on the Google Earth image of the same site. 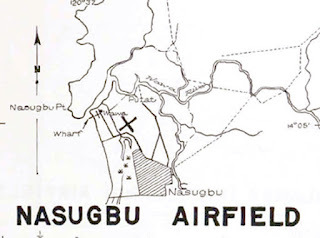 The USAAF map. Image credit: Pacific Wrecks. Pacific Wrecks says that the airfield was built even before World War II by the United States Army over what used to be sugarcane fields to serve as an emergency landing ground. During the Japanese occupation, it was repaired and expanded by the invading army for its own use. American forces reclaimed it after the landing of Allied Forces on the beach of Nasugbu in January 1945. This was also what happened to what used to be the Japanese’s Lipa West Airfield in Lipa, which the Americans would reclaim after the bloody battle of Macolod (Mt. Maculot). This same base would become Fernando Air Base, where I grew up. 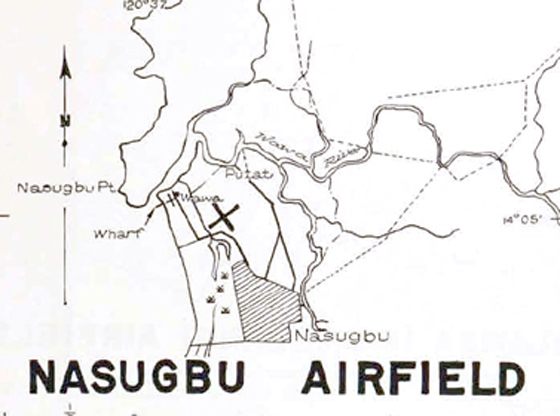 Meanwhile, the Nasugbu airfield according to Pacific Wrecks had two intersecting runways. One ran from northwest to southeast and measured 1,920 by 100 feet. The other one ran from northeast to southwest and measured 1,350 by 66 feet. Rough plot of the Northeast to Southwest runway on Google Earth. About my aunt’s story saying that my father landed and parked the L-5 close to my mother’s ancestral home, he must have landed or taxied using the second one. My only problem with this is that if the USAAF map was at all accurate, then the southwestern end of the runway would have been at least half a kilometre from my mother’s ancestral home. 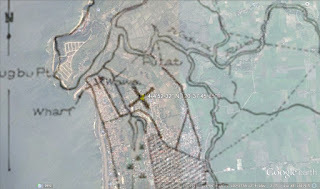 The USAAF map superimposed on a Google Earth map of Nasugbu. Of course, since the runway was sod or grass, anyway, as long as the ground was level, my father could have brought the L-5 as close to my mother’s home as possible. Unless, of course, there was another more obscure ‘landing’ apart from that airfield that the Americans built which was actually closer to my mother’s ancestral home, exactly as my aunt and cousin said. In fact, digging up on Google, Roxaco Subdivision is named Roxaco Landing Subdivision in some sites. Unfortunately, there are no markers on Google Earth to show exactly where the subdivision is. At the very least, my itinerary is made up for me when I next visit Nasugbu. In the end, exactly where ‘landing’ was matters less than writing down not just family trivia but also obscure historical trivia that the young in Nasugbu may not even be aware of.